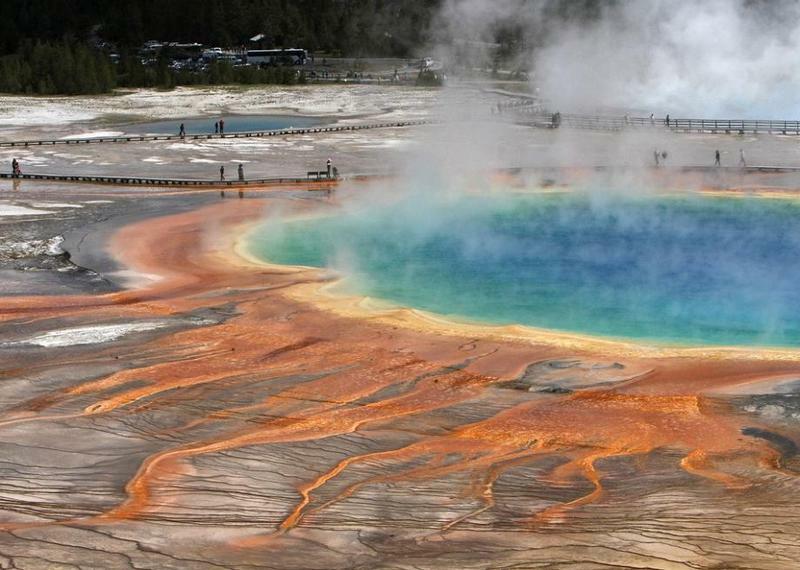 Scientists say a mammoth magma reservoir lies under Yellowstone. It’s four times the size of the magma pool that fuels the super volcano. They say it holds enough hot rock to fill the Grand Canyon 11 times… but you shouldn’t worry. 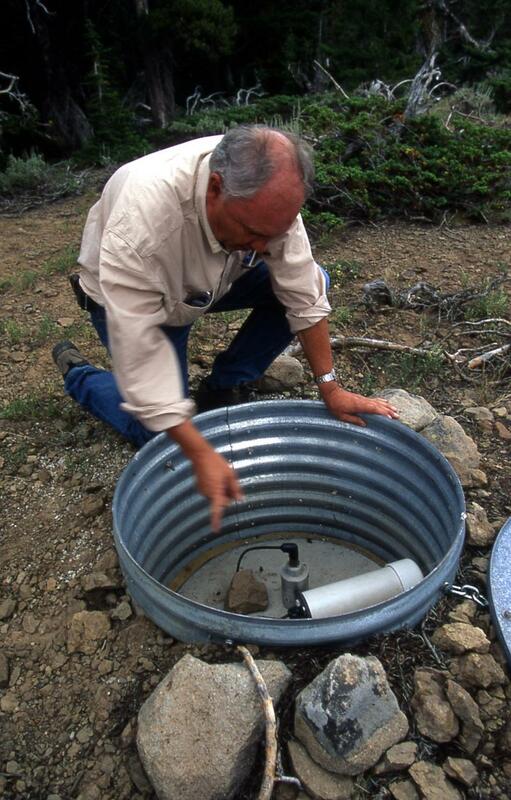 Dr. Robert Smith is considered the world’s foremost expert on the Yellowstone super volcano system. His publication last year drew attention worldwide, when it declared the magma body under the park was two and a half times larger than previously thought. His newest publication shows a much, much larger magma reservoir below the one previously mapped. Smith said the team of geologists at the University of Utah now have a complete picture of Yellowstone’s plumbing system, top to bottom, which is more than forty miles below the earth’s surface. They combined decades of monitoring earthquakes around the world. Does the discovery of all the hot rocks signal another volcanic eruption? Smith said absolutely not. 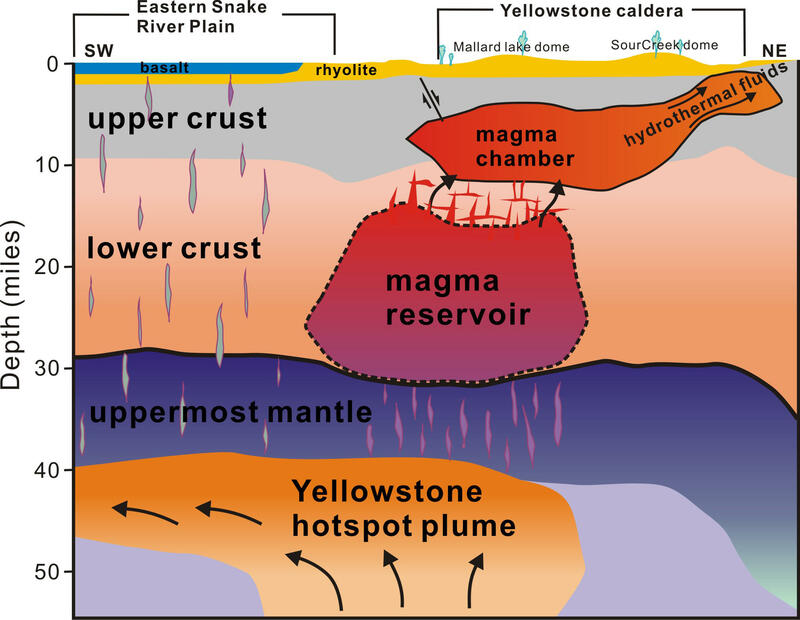 Researchers with the University of Utah have discovered a large magma reservoir underneath the Yellowstone National Park caldera. In a report released Thursday, they say the new area lies 12 miles underground, below a shallower well-known magma chamber. Researcher Robert Smith is a co-author of the study and says his team used a geologic CT scan to discover the reservoir that’s filled with a mass of hot porous rock, rather than the typical magma. He says the new finding solves a puzzle of the Yellowstone volcano system. Wolves were brought back to Yellowstone 20 years ago this week. They had been missing from the Park’s landscape for almost 70 years. Their reintroduction caught the world’s attention. But wolves are still controversial and still federally protected in Wyoming. Humans standing alongside the road howled as Canadian wolves were carried into Yellowstone through the Roosevelt arch in January 1995. Excited tourists came from around the world to watch in them Lamar Valley the next spring. They followed the animals through spotting scopes. Millions of people visit Yellowstone each year to see its geysers, fumaroles, hot springs, and mud pots. It's the largest concentration of thermal features in the world. The park sits on top of the world’s largest active volcano. Called the Super Volcano. Its most recent eruption was more than 600,000 years ago. All that remains is the top, or caldera. When you come into the Park they’ll give you a map and it has an overlay of the caldera. It’s huge. A video of bison running down a road in Yellowstone sparked viral internet rumors this week that the park's super volcano is about to explode. The rumors gained so much traction that Yellowstone officials felt the need to respond. Spokesman Al Nash says all is well, and that the animals were simply migrating.